This prepare ahead Guacamole is sure to impress. It is rich and creamy, with a nice bright punch of lime and the subtle hint of jalapeño and onion. Serve it with chips for your next game day, stuff it into tacos on Taco Tuesday or add it to the table this Cinco De Mayo. PLUS!!!! With my top tips you can make this up to 3 days before you need it! 3 days and no gross brown guacamole. 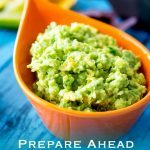 This Prepare Ahead Guacamole really does stay green! Wait what?? Prepare Ahead Guacamole??? How do you stop Guacamole turning brown? That is right! 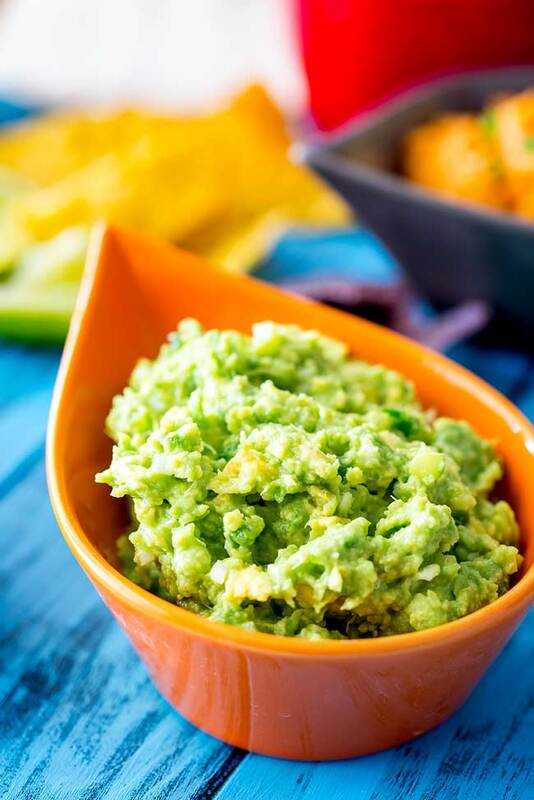 This method for prepare ahead Guacamole, ensures your dip stays bright green for up to 3 days. So why does Guacamole turn brown? Guacamole turns brown because the flesh of the avocado reacts with the oxygen in the air (a process called oxidation). This is why most recipes say to prepare and eat your Guacamole within 20 minutes. 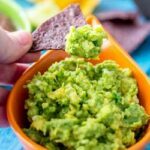 There are various hacks out there for trying to keep your Guacamole green, but I have found they aren’t that reliable! The first thing I do (or don’t do!) is I don’t add tomatoes to my Guacamole. Think about your school days. Red plus green makes brown. So by adding tomatoes to your Guacamole you are already muddying the glorious green colour! So this Guacamole is tomato free. And I think even more delicious for it! The second tip is to use Shepard Avocados. They tend to have a much brighter green flesh and they also have the added advantage that they don’t oxidise as quickly. In fact in any dish where I know my avocado is going to sit for some time, I use shepard avocados. BUT shepard avocados aren’t always available and have a small season. So if all you can find is the more common Hass avocado the next tip will still ensure you can keep your green guacamole over 3 days! My last tip is pretty cool! Once you have made your Guacamole, place it in a tupperware/bowl, smooth the top best you can and then pour over a layer of lukewarm water. I aim for about 1/2 inch (1cm) of water over the top of the avocado. The key is to ensure there is no avocado exposed to the air. This stops the guacamole from oxidising. After this you can add a lid and refrigerate for up to 3 days. When you are ready to eat, remove the lid, carefully pour away the water and then give your guacamole a quick stir. Your guac will be as good as the moment you made it. For more dips for Cinco De Mayo or #TacoTuesday check out my vegan and GF Black Bean Dip and this classic pico de gallo. And for the perfect soft tortilla to spread with your make ahead guacamole check out my homemade soft flour tortillas. 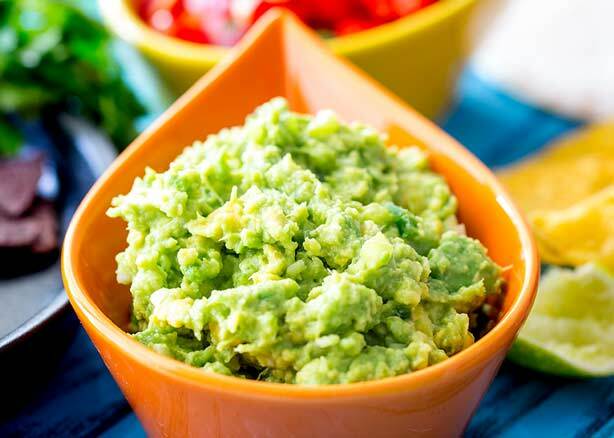 This prepare ahead super green Guacamole is sure to impress. It is rich and creamy, with a nice bright punch of lime and the subtle hint of jalapeño and onion. PLUS!!!! With my top tips you can make this up to 3 days before you need it! 3 days and no gross brown guacamole. This Prepare Ahead Guacamole really does stay green! Dissolve the salt in the lime juice and set aside. Finely chop the green chilli and the scallion. Cut the avocados in half and remove the pit. Use a small spoon to scoop out the avocado flesh. Mix everything together until you have a nubbly lumpy mixture. 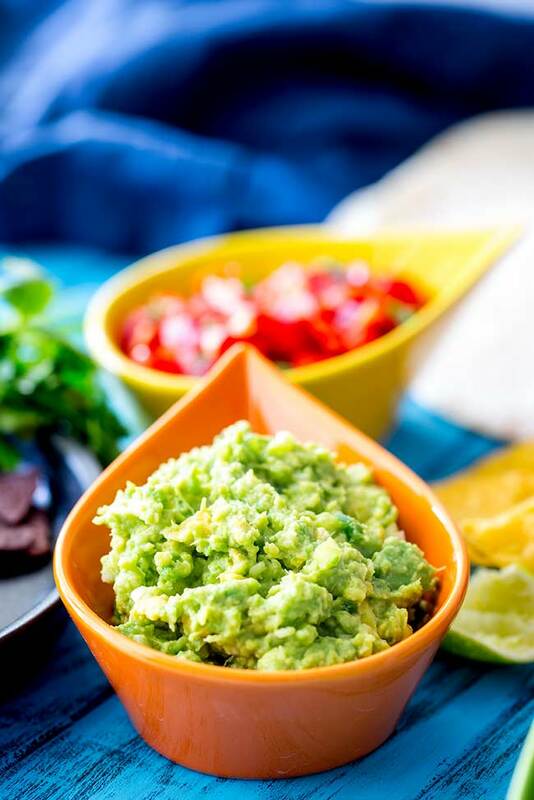 Place the guacamole into a plastic container and use a spoon to smooth the top. Pour over enough lukewarm water to cover the top of the guacamole by 1/2 inch. Ensure no part of the guacamole is poking out of the water. Seal the pot and store in the fridge for 3 days. When you are ready to eat, carefully pour away the water and give the guacamole a quick stir. Taste your guacamole and add more lime juice and salt if needed. 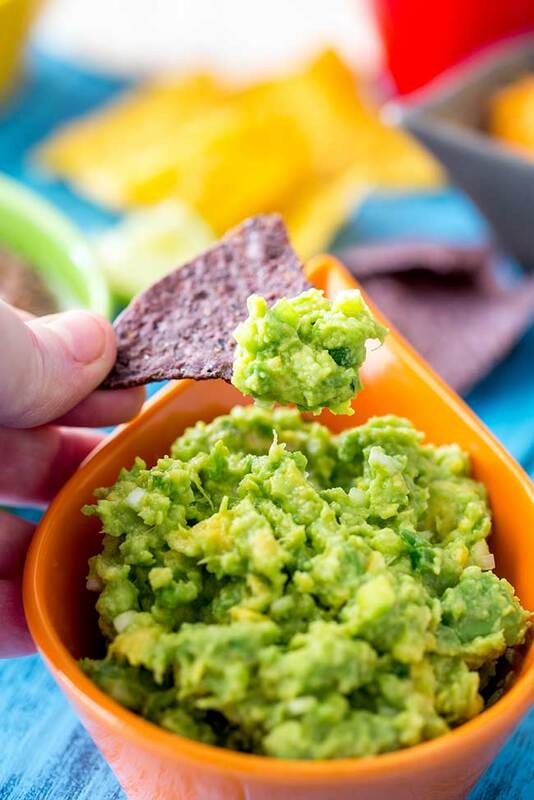 If you can find them shepard avocados are the most perfect avocado for this guacamole! They are bright bright green and resist oxidation. But if they are unavailable then Hass avocados will work just as well here. It is the school holidays, I am sat at the park with a spoon and a pot of guacamole. I am happy! 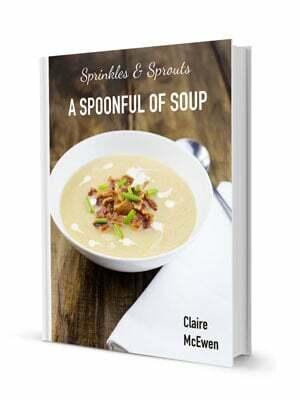 I don’t have chips, I don’t have vegetables batons, I have a spoon and a smile! Avocados are super healthy! They are good for my skin, good for my hair, good for my nails! So really I am sat here with my own little pot of glorious green power food! If you love food why not subscribe to my newsletter, I will drop you an email every now and then, just to say hi and send you a couple of recipes think you might love, like this prepare ahead guacamole. What a neat tip about the water! I’m going to have to try that sometime! These are awesome tips for perfect guacamole every time. Thank you!!! Thank you April, isn’t is amazing how well it works! Love the tips on keeping the guac green and just like you, I dont add tomatoes on my guac as well because they easily get soggy.